Here's a step on the way to the motorcycle jacket. 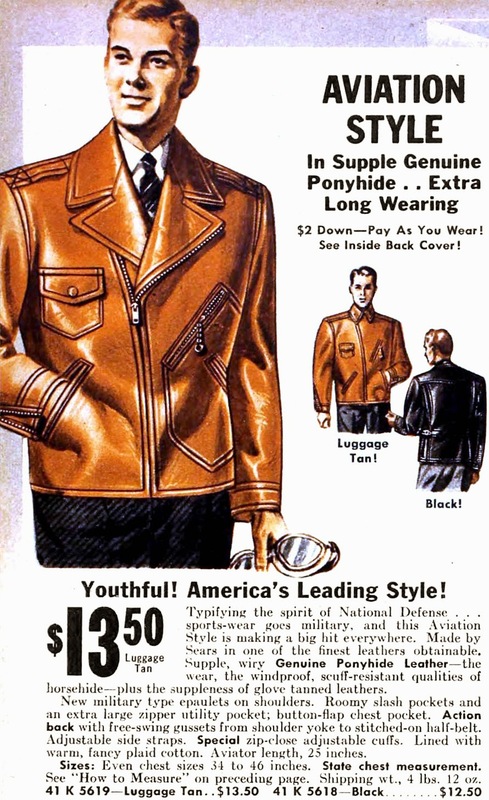 1941, with zipped sleeves and a D pocket. The epaulettes give it a bit of an A-2 vibe.